we have some new downloads to share with you! First one is hosted by the Drowned in Sound run blog at Rcrdlbl.com. It is a remix of Cutting Ice To Snow the album closer of Parades and it is made by Hulk from Ireland – an artist we enjoy and admire very much. Download Cutting Ice To Snow (Hulk Remix) via Rcrdlbl.com. 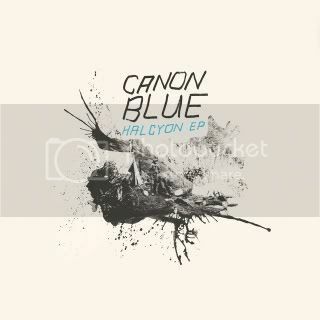 Next one is a full 4 track EP by our Rumraket friend Canon Blue. We recommend this highly and as a little bonus info we can let you know that Mads from Efterklang did the mastering of this new EP. It downoads as a zip-file and the MP3s are high quality and artwork comes along with the download as well. Michel and Tory – did you find each other? Tory – we want to know!! did Michel get in touch? Please both of you get in touch with us as well! 2007 er snart forbi, og skribenterne hos både Gaffa og Ekstra Bladet har til stor glæde for os, valgt at kåre vores nyeste udgivelse Parades som årets album! Vi sætter stor pris på din stemme! thank you! and see you again soon!! Without doubt the past 27 concerts has been our best tour ever. If you have attended one of our recent shows and you are reading this then we would like to thank you and everybody who took part in this – we have had so much fun!! We are taking a break now for about two months. In February we will return with a new tour that will take us through Germany, Austria, Italy, Switzerland, Spain and France as well! More shows will be added to the tour in March and April. And we aren´t stopping there but you will have to be patient with news on where we go next. venue change Brighton & we love London, Leeds and Nottingham! All tickets for the old venue remain valid. Also, the new venue is open to ages 18 and over. Tickets on sale £10.00 from http://www.wegottickets.com/event/24014, 01273 325440 and from the venue. 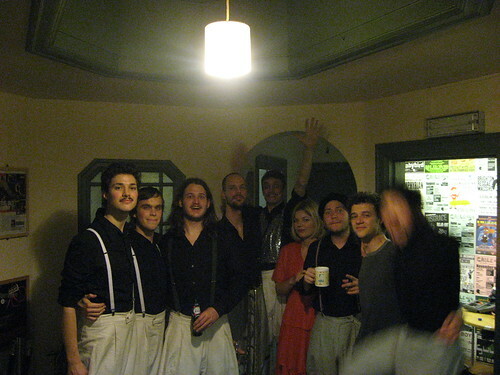 we love Birmingham and Bristol! what a great start of our UK tour! Thank you everybody!! Tomorrow it is London – we look forward to that! Rumors say that the concert is almost sold-out so act now if you are going! England, Glasgow, Dublin, Belfast, Brussels, Amsterdam here we come! Tomorrow we play in Thekla Social in Bristol and then 11 more concerts follow. Hope to see you there!! Min kappe er forsvundet i Aalborg i Lørdags, kan du hjælpe??? 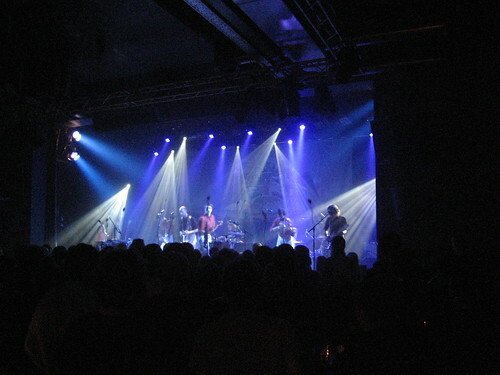 Til de af Jer som var til koncerten, var det den jeg tog af halvt inde i koncerten og som hang på mit mikrofonstativ resten af tiden. Hvis du på nogen måde ved hvor den er blevet af, eller måske forelskede dig så meget i den at du ikke kunne lade den ligge, så skriv, skriv, skriv tilbage så hurtigt du kan!!! Jeg savner den helt vildt! Ps. Iøvrigt, mange tak for en fantastisk aften, håber vi ses igen snart! Tak to all the nice people at our sold-out hometown show yesterday in Copenhagen. We had so much fun and it was the nicest feeling to play in Copenhagen again after almost two years break! There is already a new Copenhagen concert lined up. This time in Store Vega where we will do a double concert with Lise Westzynthius March 12th. Tickets are for sale here at Billetlugen.